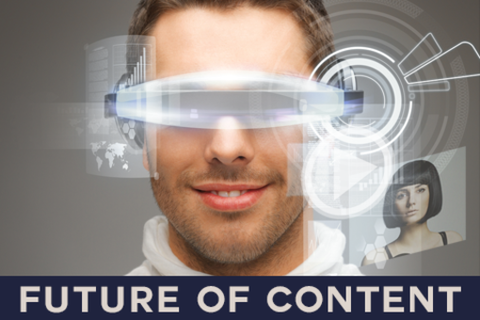 This panel will explore the future with wearable technology, putting focus on smart glasses and the impact this could have on content creation and content consumption. Huge amounts of content generated from wearable devices will be viewed pervasively across a multitude of web channels - and this has started. Content will not only be generated by wearables, but more importantly, it will be consumed by people on their wearable devices. What is the nature of emerging wearable content today and what does this mean for the future of content? Point of view video, activity trackers and notification updates are just the beginning of a bold new future where we will extend the very definition of "self" using wearable technology and future connected devices. What will it take to get there? Brian Friedman is the CEO and Founder of Loopd, which is a wearable device company funded by legendary VC Tim Draper. Brian attended Lehigh University where he studied Materials Science and Engineering and Product Design. He is currently based in San Mateo with his team, and enjoys snowboarding, kiteboarding, and surfing in his free time. Erick is an artist, an engineer and entrepreneur; as founder of Vergence Labs, makers of Epiphany Eyewear smart glasses he works to build, serve and empower the team, guide the company vision, develop product, and build the business into a successful company. Erick is passionate about entrepreneurship, design, engineering, product development, 3d graphics and wearable technology. Gaia Dempsey has been a creative force at DAQRI since the beginning, bringing her unique vision and imprint to every major DAQRI project ranging from successful educational initiative Elements 4D, to industrial augmented reality applications for Tier 1 defense contractors. Unorthodox in her approach to marketing thanks to an entrepreneurial background, she is passionate about bringing new products to market and creating win-win scenarios for partners, customers, and investors. In addition to leading DAQRI’s Marketing function, Gaia manages education and art-related partnerships. Prior to DAQRI, Gaia began her startup career at Idealab where she brought her social media expertise to the first startup incubator, then went on to co-found interactive and digital marketing firm Demeter Interactive. Julien worked in the mobile space for 10 years. Currently advising several wearable computing startups such as Plantiga, and GERO, he previously worked for Samsung where he shaped the strategy and built contextual experiences as well as services such as Samsung Hub, an iTunes type service and Samsung WatchON, a video aggregation engine, two services currently available on the Samsung Galaxy S4. He is the founder of Gizworld.com, a global wearable computing consultancy, co-organizer of a series of wearable computing events (http://plugandplayaccelerator.com/events/wearable) with Plug and Play, the world's largest startup incubator, and co-founder of Wearable Tech Israel (www.wearabletechisrael.com), Israel's first major wearable computing event, taking place in May 2014. Julien has been quoted in leading publications such as the Wall Street Journal, the New York Times, Dow Jones, and BusinessWeek. Kip Fyfe is a Wearable Technology innovator and visionary. In 1999, as co-founder and CEO of Dynastream, he introduced a patented running footpod sold through Nike and other high-profile companies. He then developed ANT+ as the ultra-low power wireless protocol, soon becoming an industry standard. Dynastream was successfully sold to Garmin in 2006. Kip took a few years off, but his imagination led him to start 4iiii Innovations in 2011, providing an ecosystem of interoperable wearables for both sport and general self-quantification all with the goal to provide relevant information ‘when you need it’.